Hey there blog readers! I have an exciting thing to share – I’m a Canadian LÄRABAR Ambassador! And I’m not going to lie, I’m pretty excited about it. I have been enjoying LÄRABAR products for years (and I bet you could look waaay back on the blog to see how often they have shown up). In fact, I first learned about them through reading other food and nutrition blogs. They are definitely one of my favourite food bars, and when the opportunity came my way to be a LÄRABAR ambassador, I couldn’t exactly say no! As a Registered Dietitian, I am all for encouraging people to eat more real food. I also understand that sometimes we need to turn to convenience foods, and I want to help people make better choices when doing so. That’s why LÄRABAR is such a great option – these bars are simply a blend of unsweetened fruits, nuts, and spices (and maybe the odd chocolate chip). Many of their 10 flavours have 5 ingredients or less. You can’t get much simpler than that. They are also suitable for a variety of diets, as they are gluten-free, dairy-free, soy-free (other than those with chocolate chips), vegan, and kosher. As a LÄRABAR Ambassador, I received a big ol’ box of samples to help spread the LÄRABAR love. I had no idea what flavour I might get – turns out it was the Coconut Cream flavour, which is one of my favourites (yay!) Of course, sharing means I can’t exactly eat all of those mini bars myself. 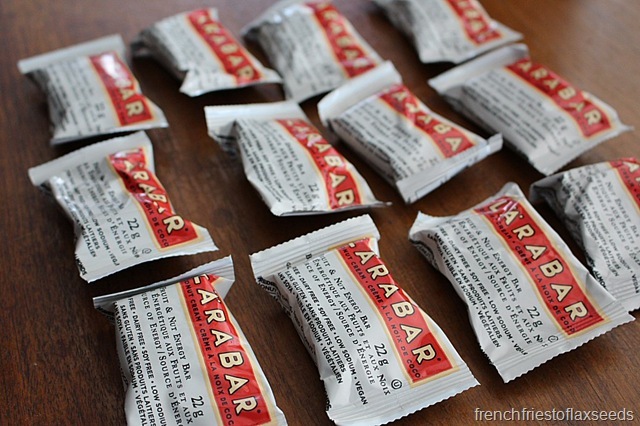 So that’s where you all come in – to share the LÄRABAR love, I’m having a huge giveaway! There won’t be one winner, there won’t be two winners – there will be 10 winners! And each person will receive twelve (12) mini Coconut Cream LÄRABAR’s to share with friends or enjoy all to themselves. This contest is open to Canadian residents only. **UPDATED** The contest will close at 23:59 on Tuesday, June 30th, and I will randomly select and post the 10 winners on July 1st (Canada Day!)**. This is totally a contest worth sharing with your friends – because you can all win! Good luck! 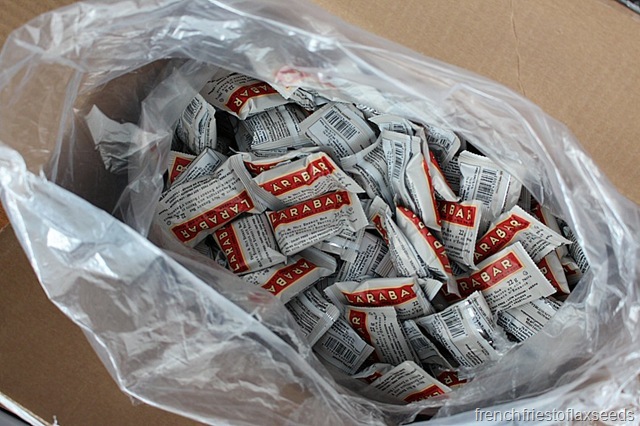 Disclaimer – all samples were provided to me free of charge as part of the Canadian LÄRABAR Ambassador program. All opinions are my own. Congrats, Marianne! Treats are one of the things I miss most about blogging. 😉 I’m a peanut butter chocolate chip Lara Bar girl. Cashew would be my favourite followed by Peanut Butter. Yay! A Canadian giveaway! I love coconut, but Key Lime is my favorite. I love chocolate chip, so yummy. I love the chocolate chip one, so yummy! It’s a tie between cashew and coconut! Cocoa Coconut Chew and Cashew are a tie! Banana bread has to be my favorite with carrot cake as a close second. My fave is Apple Pie! Second fave (only for a special treat) is Peanut Butter Chocolate Chip. 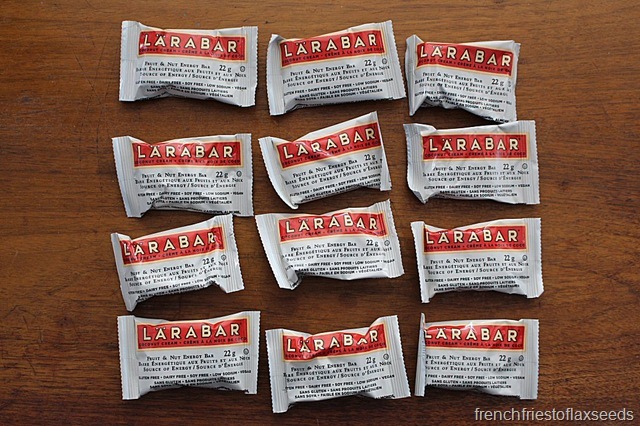 I don’t have a favourite flavour of LÄRABAR as I’ve never tried it although the coconut cream sounds terrific. I’ve never tried it but I’m sure I would enjoy the coconut cream! LOVE Larabars!!! My fave is peanut butter chocolate chip!